Winter weather have you down? Read these four things to cheer you up and remind you of the good happening in the world! Stranger Pays for Homeless Hotel Bills: Good Samaritans in Chicago paid the hotel bill for 80 homeless people during the recent polar vortex. While city officials encouraged homeless residents to seek proper shelter and warmth, there was a group that elected to stay in tents. Firefighters were called to the site on Wednesday (the second coldest day in Chicago history) after a propane tank exploded. Thankfully, no one was injured, but responders determined it was a level one Hazmat risk and confiscated the propane tanks. Officials worked to find shelter for the residents, but Candice Payne offered her credit card for a hotel stay. She tweeted about it, and more people stepped forward to help the cause. Together, they were able to provide three-day hotel stays for 80 people. They also sent food to the rooms while residents were there. 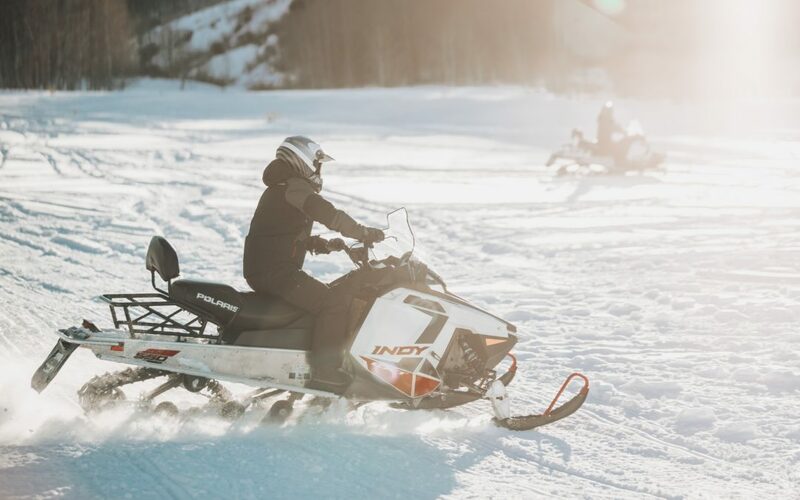 Pharmacist Snowmobiles Medications to Patients: One pharmacist in Michigan has been going the extra mile for her patients. Andrea Cusack, a pharmacist at the Lake Odessa Pharmacy, found a creative solution after a snowstorm left their clients stranded at home. Realizing that regular deliveries may not be possible, Andrea enlisted her son to help deliver the medications via snowmobile. A picture of the pair making these deliveries has since gone viral, and Andrea says she is surprised and grateful for the outpouring of support. Famous Chef Uses Lottery Win to Feed Homeless: Roberto Mendoza has spent most of his life preparing meals for people. Formerly a White House chef, he has served Bill Clinton, George Bush, Barack Obama, Donald Trump, royal guests, and many celebrities. His most recent endeavor, however, will allow him to serve even more people. Recently, Roberto’s visiting mother convinced him to buy a scratch-off ticket because she had a good feeling. To his surprise, Roberto won the top prize of $250,000. Instead of keeping it for himself, he has announced plans to use the money to feed the homeless in the Dominican Republic. Cancer Patient Still Living His Dream Over 20 Years Later: David Rolfe was diagnosed with Hodgkin lymphoma in 1995. Feeling like he was living on borrowed time, David decided to fulfill his lifelong dream and open an antiques shop. According to David, he has always loved collecting antiques and he wanted to end his days there. He never expected that he would still be running his business over 20 years later, “I could never have imagined that we would grow into being what we have become.” David recently received the all-clear from his doctors and is looking forward to operating his shop without the stress of treatment.